The 25th Annual Permian Basin Oilman's Bass Invitational will be held April 26-27, 2019 at Lake Amistad near Del Rio, Texas. We look forward to that special time when companies and workers in the Permian Basin oilfield come together to support the West Texas and New Mexico Chapters of Make-A-Wish. 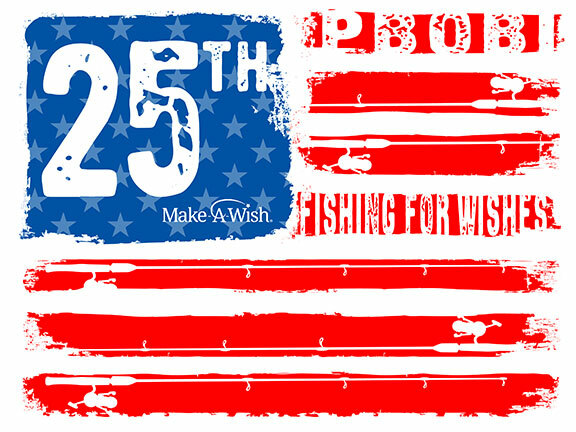 We are looking forward to our 25th Anniversary tournament in 2019 and PBOBI remains the single largest Make-A-Wish contributor in West Texas; making it possible to provide support and counseling for the families of local children with life threatening diseases. Since 1995, PBOBI has donated over $4,500,000.00 to Make-A-Wish and has been instrumental in granting hundreds of WISHES to these very special children. We look forward to seeing everyone at the tournament and hope that you will continue supporting the Make-A-Wish Foundation with generous sponsorships and donations. Lake Amistad near Del Rio, Texas.